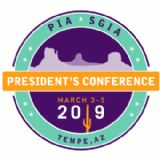 The President's Conference targets the industry's most influential printing industry leaders. Sponsors of the event will gain visibility with CEO's, Presidents, Owners and other printing industry Executives that are seeking tools and resources to help them make the important decisions necessary to grow their business. Your representatives will have the opportunity to build personal relationships through face to face networking with approximately 200 of the industry's top Printers.